Today I get to share a HUGE small business based right here in Decatur. Just this last month I had the privilege to photograph their 50th anniversary celebration complete with a open house banquet/dinner party and a Bose giveaway contest which all their attendees could participate. And I have to tell you that spending time with them over those two days of festivities I just LOVE the atmosphere they’ve cultivated. There is an attention to detail that I haven’t seen in a lot of places with trucks, a warehouse and offices that are pristine. Being very goal driven myself I also loved seeing their goals for the year/month broken down and posted throughout the offices as well as their overall visions for each department displayed largely (like 8 feet tall guys) in their meeting room. There’s a pride and fellowship among the employees and owners that cannot be overlooked and it makes it a pleasure to work with them. The Details: Skeff Distributing Company, Inc. | In Business: We’ve been in business since January 6, 1967. Over 50 years! Tell us about your business… What do you do? Skeff Distributing Company, Inc. was incorporated on January 6, 1967 to serve as the distributor for Anheuser-Busch, Inc. products. 48 years later, we have expanded our footprint to include the counties of Macon, Menard, Piatt, Champaign, Vermilion, portions of Logan and Christian, DeWitt, Sangamon, Moultrie, Macoupin, Montgomery, Morgan, Douglas, Edgar, Ford, and Iroquois in Central Illinois. The company currently has 27 delivery routes in the Decatur, Springfield, Danville, Champaign-Urbana, and Taylorville markets to service around 1,800 customers. Team Skeff has expanded to include over 100 employees (both union and non-union) and distributes 70+ brand families. What makes your business unique/special? Skeff Distributing is in a special position in business and industry because the product by its very nature is centered on good times and social gatherings. Not too many other businesses can say the same! What tool/equipment/or other vendor could you not imagine doing business without? 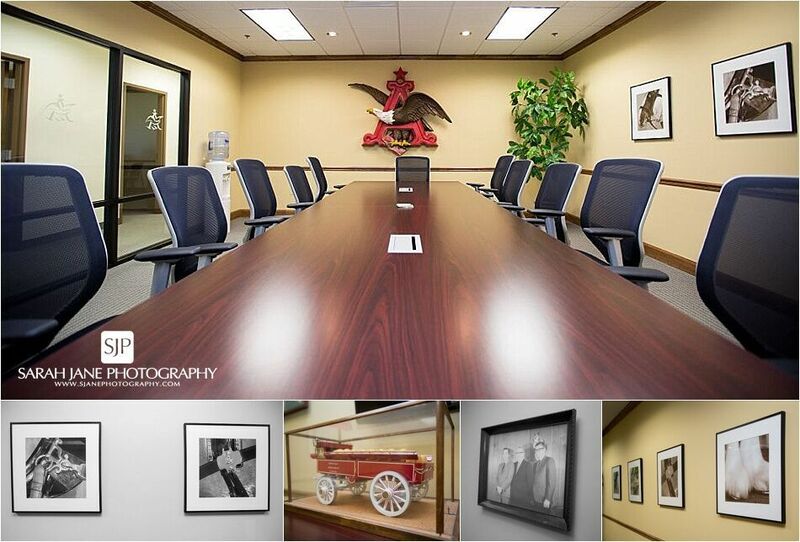 We could not do business without our suppliers, especially Anheuser-Busch our main supplier, or our customers. Without them, we would lack products to sell to our retail accounts and, by extension, their customers would have nothing to consume! A few years ago I had the chance to work with Skeff for the first time to create the large (6 feet tall) red focal canvas you see in their lobby (pictured below). This was a fun and different project for me though I often design large pieces and collages for my client homes this was the first in a while for a commercial office. 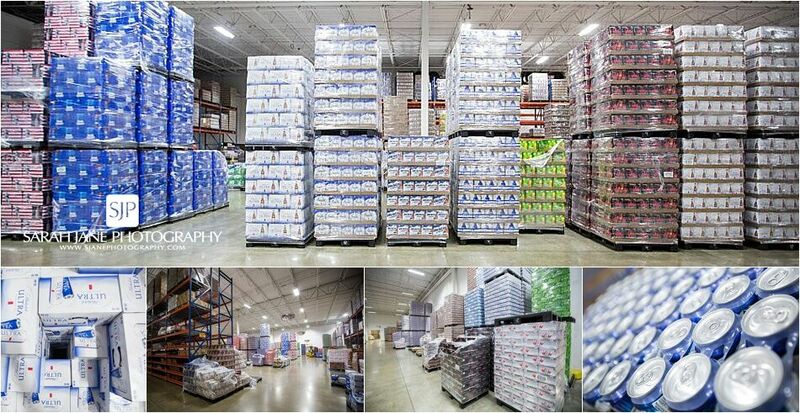 One of the coolest things to see as a consumer is the massive Skeff warehouse with stacks and stacks and stacks (and stacks…..) of beverages literally as far as you can see! I know I take for granted the fact that I can walk into any grocery store or gas station and pick up my drink of choice… well this, my friends, is what makes that possible! See more on our Facebook Page and follow us on Twitter @sjanephotog, Instagram @sjanephotograhy, and Snapchat @sjanephotog. If you’d like to have YOUR small business featured for FREE on the SJP blog (or know a small business we should feature) you can find details HERE!